This level have normal difficulty and you need to use good technique to complete this level. First try to make striped candies and wait till moonstruck or break striped candies or special candies that you get if you can balance the Odus owl. 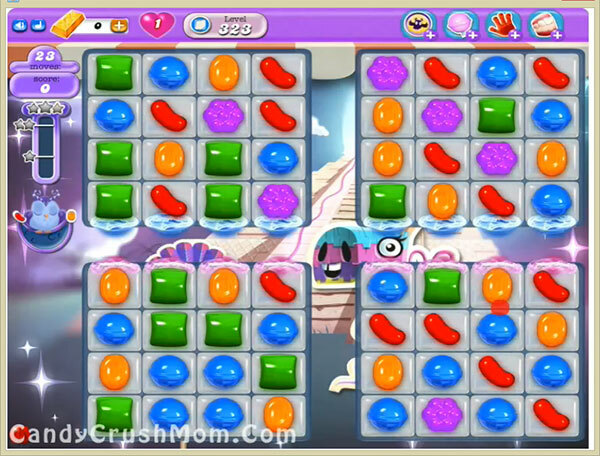 After moon struck use special combos that will help to break all jellies within few moves if you have luck. We completed this level with 226640 score using same trick that we share above and reach requirement before 17 moves with single star score luckily.